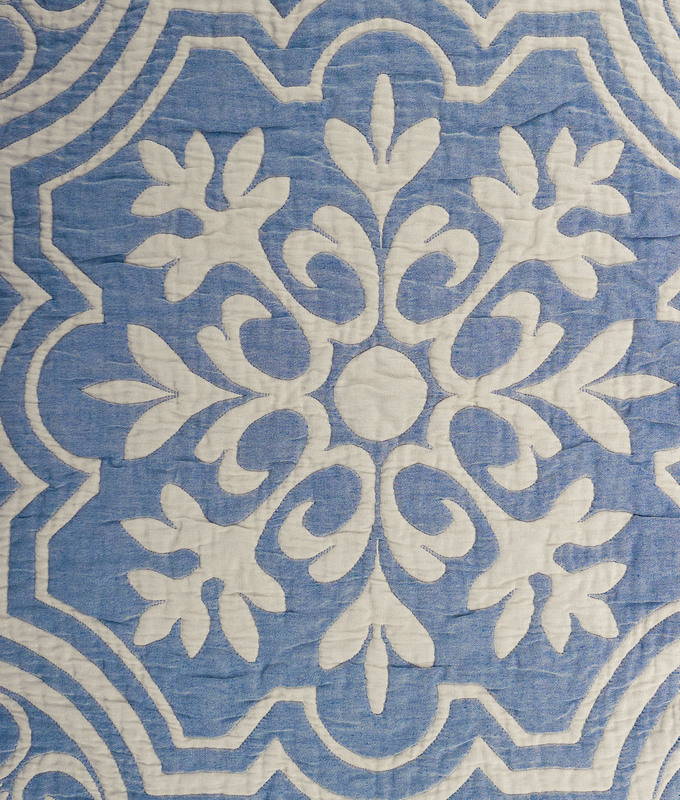 This fully reversible cotton and wool matelassé coverlet is both beautiful and practical. New Zealand wool yarn is woven between two outer layers of Mercerized Egyptian Giza cotton yarn. 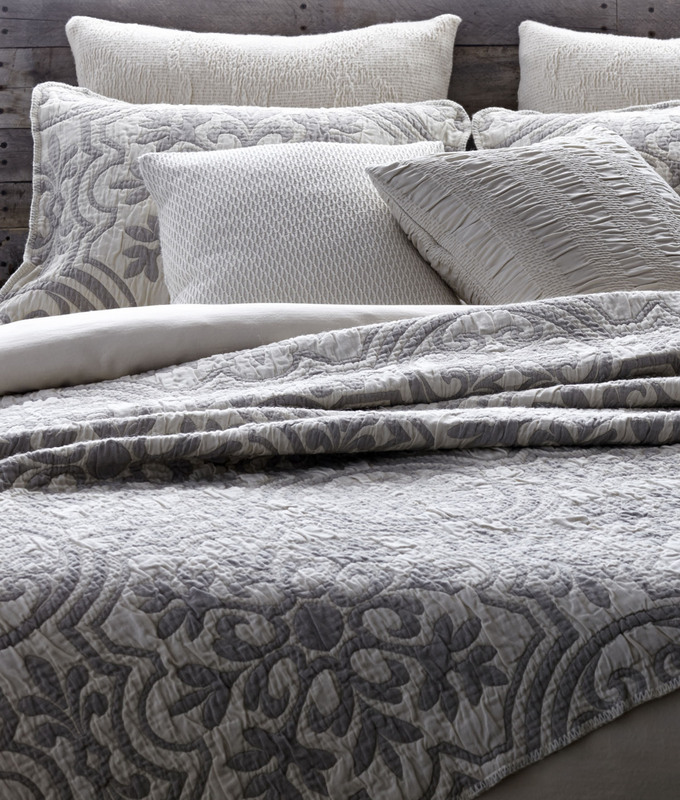 The wool provides both insulation and, in the way we finish the product, the quilted look. 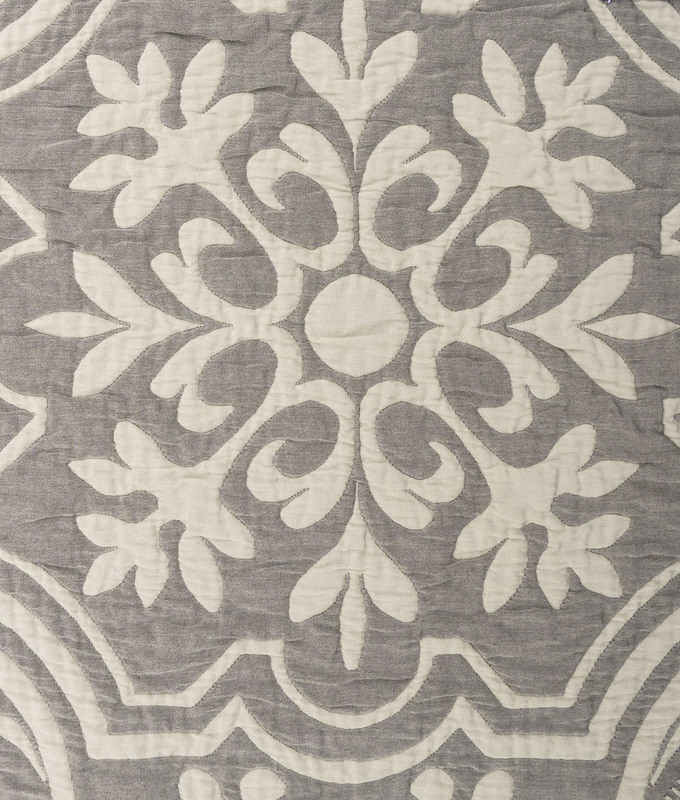 What appears to be intricate sewing is actually weaving.